With Apple’s WWDC just around the corner in June, I thought I would share my Top 10 (in no particular order) iOS applications. App’s have revolutionized the way in which consumers use their mobile phones and tablet devices and are constantly evolving to make peoples productivity or social interaction that little easier. Probably the most used app on my iPhone. Whatsapp is one of the most essential apps you can download onto your iOS device. Instead of worrying about SMS allowance (psh, who uses this anymore), WhatsApp lets you send messages over Wi-Fi… always a plus when you’re constantly connected to a network like myself. This app is my go-to when I want my quick insta-fix. Uploading photos, adding filters and sharing them quickly and easily makes it a great social platform. It’s simple but effective interface makes it easy to see why it’s become such a hit over the past few years. Instagram has also recently added the functionality for multiple accounts on one device, which means many more businesses have been getting involved in the action. Although iOS devices include iCloud Keychain for securely storing login and payment details for different accounts, 1Password is a much better app in my eyes. The app is cross platform, enables secure notes and lets you edit login details straight from your iPhone. Using the Find My Friends app is a great way of checking out where my friends are in the world, some may say slightly stalker-ish. It’s great if you’ve ever lost a friend on a night out and want to know where they’ve stumbled to. Although there are many different third-party Twitter applications available for iOS, the official Twitter for iPhone app wins hands down for me. The app is fast, boasts some useful content through the Connect and Discover sections and easily lets you browse photos, videos and more recently – GIFs! Who doesn’t love a GIF, hey? Having recently moved house and installed Sonos throughout, this app has changed my musical life. Easily integrate it with Spotify and you’re off – playing music in every room in your house. A plus side being that you can switch off your parents music straight from your device when you’re fed up of Duran Duran: Greatest Hits. Uber is slowly but surely changing the way I travel – slowly due to the fact they’ve only recently added Leeds to their offering and even more slowly introducing Huddersfield. Quickly and easily request a taxi using the app and get picked up within minutes – along with paying straight from your phone. A win win. The surcharges on an evening in a busy city are pretty annoying though. Apple’s own Maps app is nothing compared to this lifesaver. Google Maps is free to download and a far better solution to the native Apple app. Great turn by turn navigation and in certain cities, public transport directions. A must download app for someone with bad navigational skills, like myself. Travel around some of the big cities and easily get lost? 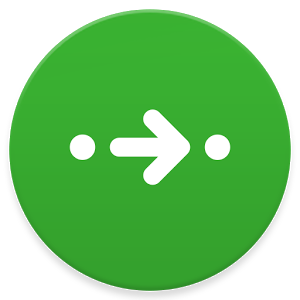 Citymapper is the perfect tool for travelling around the supported cities with ease. The app simply finds exactly where you are, you enter where you need to get to and it plans you’re a to B route instantly. Fast and easy, that’s my kind of travel style. Although not the best user interface and probably one of the worst banking apps on the market, I couldn’t live without checking the Lloyds Banking app on a daily basis. Easily transfer money, check your transactions or find out information on direct debits. A great app for any young professional looking to curb their spending habits. This is superb- never heard of 1password before. It’s going to make life so much easier. Living in London, CityMapper is an app I simply cannot live without!! It has often saved me when running late of important meetings. Never heard of a few of these; 1password and citymapper. As a face to face account manager mainly meeting customers in London I can see Citymapper is going to be a great help in getting around quicker and with ease. The fact I can save the office address makes it easier to just press one button to get me back to work. 1password… Awesome! No more entering several variations of several passwords and getting logged out again. Would agree with the rest too. Spot on and thanks for the recommendations too.